David Clemen has a BFA in Fashion Design from VCU in Richmond, VA. He also studied for one year at the Art Institute at Atlanta in Graphic Communication. He uses his art in many capacities including murals for the community, illustration, paintings. Currently he has been doing set design in local theatre and film. 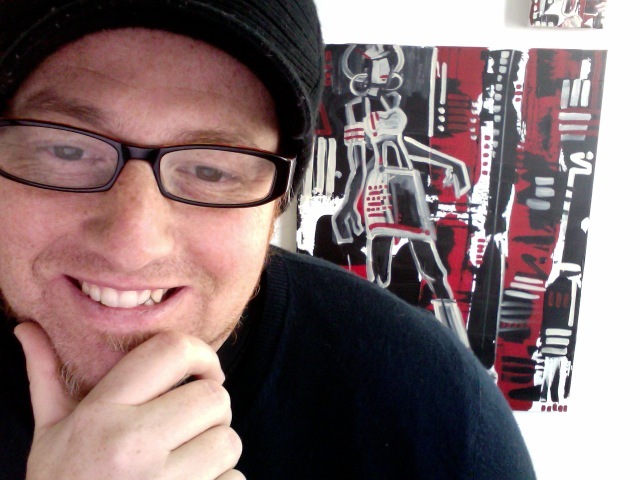 His work in digital media and canvas conveys his love for color and patterns. I have been drawing since the age of 4 or 5. I didn't choose it, it chose me. The drawing that is. As an only child I was always given lots of support in pursuing my creativity. The drawing was always a way to express how I was feeling. Lots of wonderful experiences and moments have come from this gift. I hope you find things here that make you smile and inspire you to keep going, and above all make, do, and work out of love. self portrait with sketches app on my ipad.